Carrie Fisher’s death on Tuesday at the age of 60 has left some Star Wars fans wondering what will happen to the main saga films. Variety reports that Fisher finished her work on Star Wars: Episode VIII, coming to theaters on December 15, 2017. 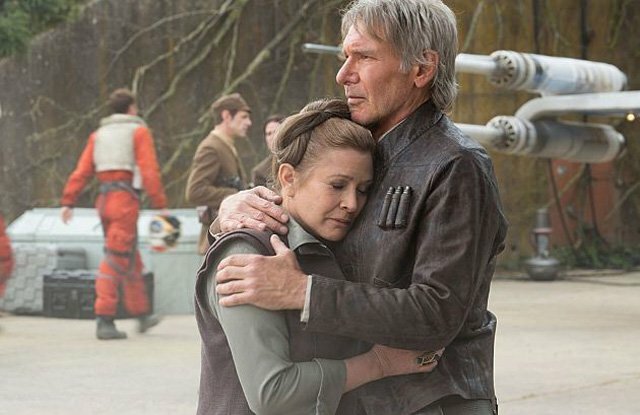 Because of this, the trade adds that The Walt Disney Company and Lucasfilm will not have to address Fisher’s death until Episode IX begins shooting in 2018, as Princess Leia was originally slated to appear in that production as well. It is rumored that Carrie Fisher has a bigger role in Episode VIII compared to her appearance in Star Wars: The Force Awakens, so one would think she would have had a sizable role in Episode IX as well. It might be quite some time before we find out what will need to be changed to the Colin Trevorrow-directed film, as Lucasfilm is usually tight-lipped about upcoming productions. Fisher also had a recurring role on the Amazon/Channel 4 comedy series Catastrophe, playing the mother of star Rob Delaney’s character. Fisher was reportedly on a flight returning from her work on the show in London on Friday when she suffered a heart attack. There’s no word on how the show will handle Fisher’s character in upcoming seasons, but Catastrophe had completed filming its third season, which airs in the spring, and had already been renewed for a fourth season.